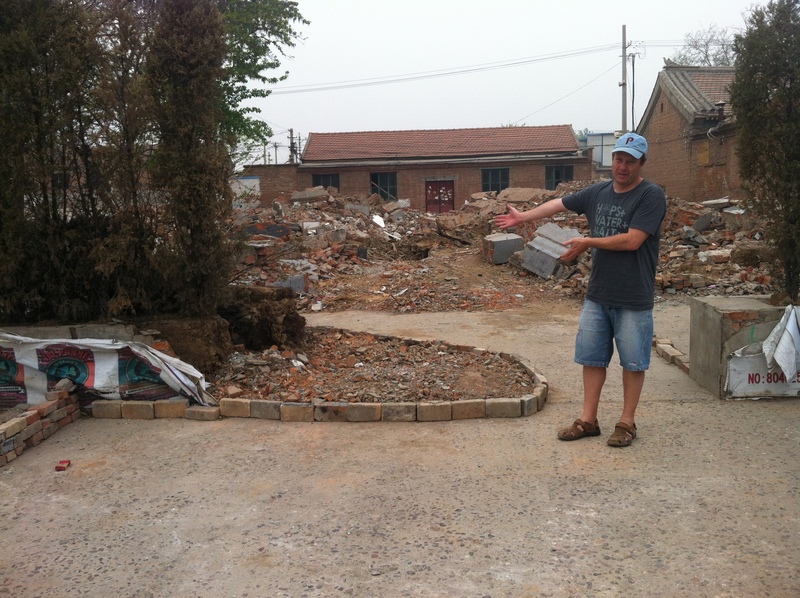 A highlight of my 2009 stint in China was spending time at the Pomegranate, as has oft been recorded on this blog. Its unfortunate closure and demise has also been recorded here, but I couldn’t help but pull by the old site one more time. I wasn’t prepared for what I saw and the photo you see I thought would be my last memory. 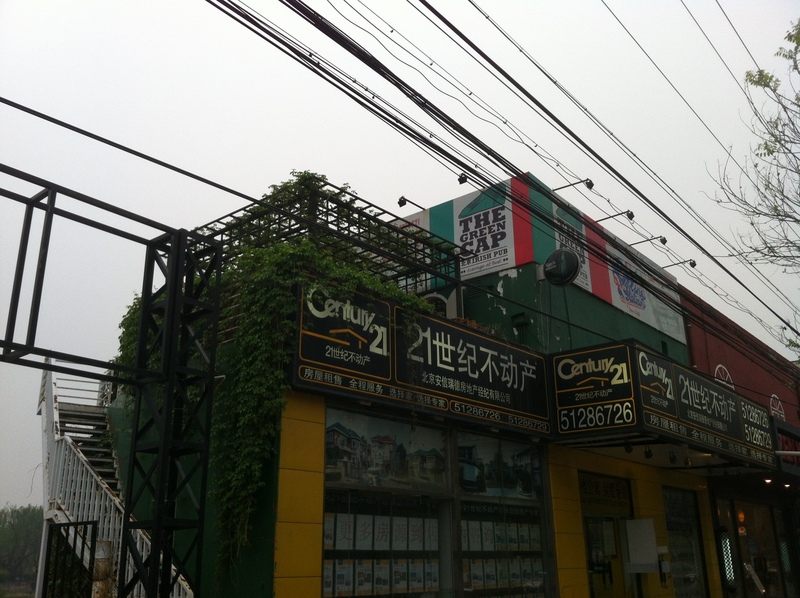 Fortunately for the Northern citizens of Beijing, the former manager of the Pomegranate has opened up his very own bar. The gregarious, generous and unflappable Pat Walsh has opened up The Green Cap. It’s a little closer to town that the Pomegranate, but retains most of the same features. There’s sport, sport and more sport available. It’s possible to get great food from the restaurant next door and Pat still manages to put on a weekly trivia quiz. It’s much smaller than the Pomegranate – but it’s a great little place and it rocked when the trivia quiz was in full cry. 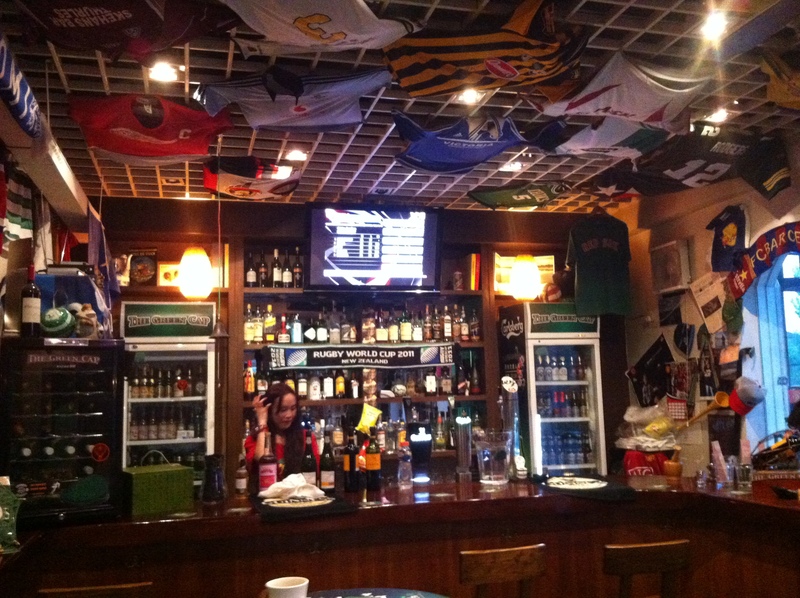 The Guinness is first rate, and there’s a good bar fridge and some other decent tap beer. Pat (he’s in pink below) and his fiance will ensure you are never dry. 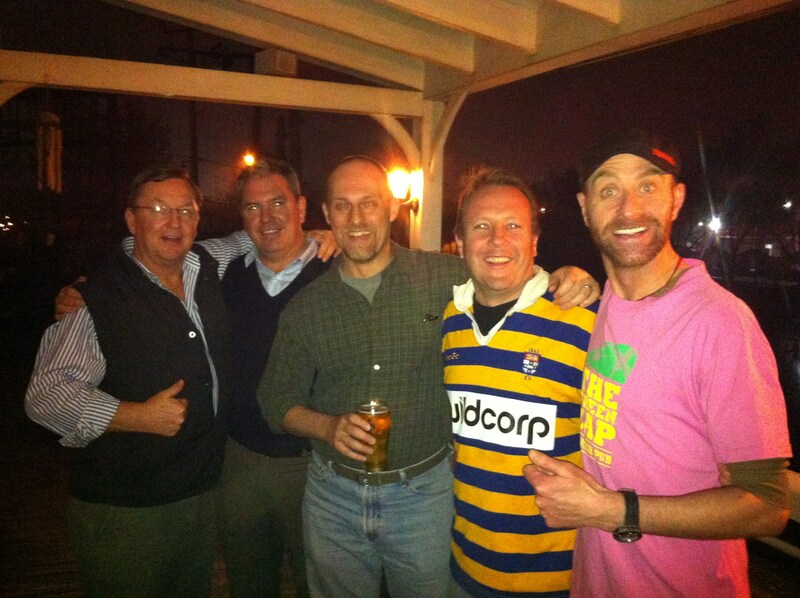 It was great to catch up with the old crew, including the January 2009 Beijing collective as well as Sinc – who arrived much earlier than the Collective. One of the Collective had left me a cryptic email saying that he had a gift for me, but didn’t get around to mailing it – and wasn’t sure I’d want it anyway. After the first shout, Eric from Illinois reached under the table and placed a heavy bag on the bar table. Inside was the most marvellous gesture – a brick from the site that was the Pomegranate. This permanent reminder now sits in the Cantina and I can totally understand why it wasn’t mailed. Thanks, Eric. We didn’t do too well in the trivia quiz. Pat’s efficient service and a desire to catch up on old times, meant that concentration was poor. We were also pissed. 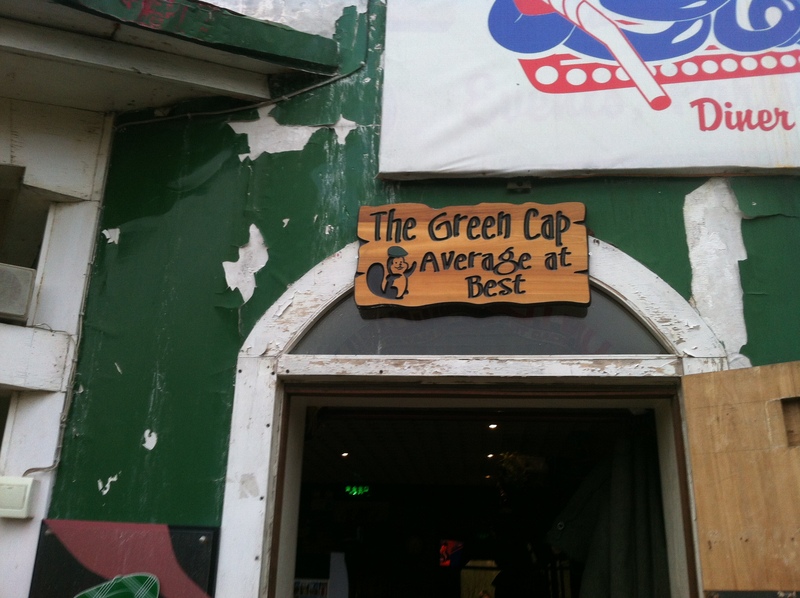 That said – it was a wonderful night, and if you ever get to Beijing, you could do much worse than visit The Green Cap. It has the best motto of a pub that I can recall – “Average at Best”. With a saying like that, you’ve just got to buy the shirt – I did. Hopefully it won’t be my last time there. What fun!!!! ‘Average at best’ is a fabulous mantra and one that I would happily adopt!!!!! It’s so interesting to see where you are at these days. Lots of kids….clearly at least one is very clever….Manly selective. and a little boy wow. Gay hasn’t changed one bit and looks fabulous. Great end of sojourn post Bladdamaster was fantastic to see you here in Beijing again and there will always be spare bed/s at Chateau Raglia for future trail blazing. Until next time …..